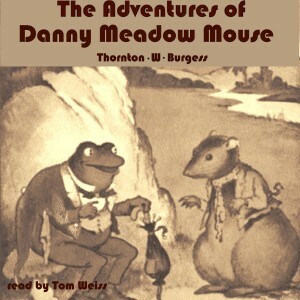 The Adventures of Danny Meadow Mouse is another in the series of children’s stories by conservationist Thornton W. Burgess. In The Adventures of Danny Meadow Mouse, Danny begins his tale regretting the length of his tail until he is corrected by Mr. Toad. Then he has a series of stalkings by Reddy Fox and Granny Fox. He is captured by Hooty the Owl but escapes midflight to fall into Peter Rabbit’s briar patch. Peter goes to Farmer Brown’s peach orchard, gets caught in a snare, and barely escapes. Finally, Danny gets trapped in a tin can and must use his wits to escape Reddy Fox again.